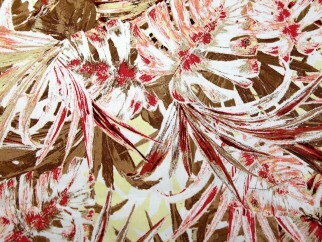 This beautiful abstract leaf print stretch cotton fabric is a beautiful quality fabric from the Jardin collection. The spandex content makes this fabric stretch across the width, resulting in a fantastic easy to sew, easy to care for and really versatile fabric. You can make so many different styles with this fabric. The stretch gives it the added advantage when making fitted styles, because it is easier to get a great fit with a fabric that has a little stretch, as it is much more forgiving. You could make trousers, skirts, dresses, tops, lightweight jackets, suits, waistcoats, shorts, jumpsuits...the list goes on! 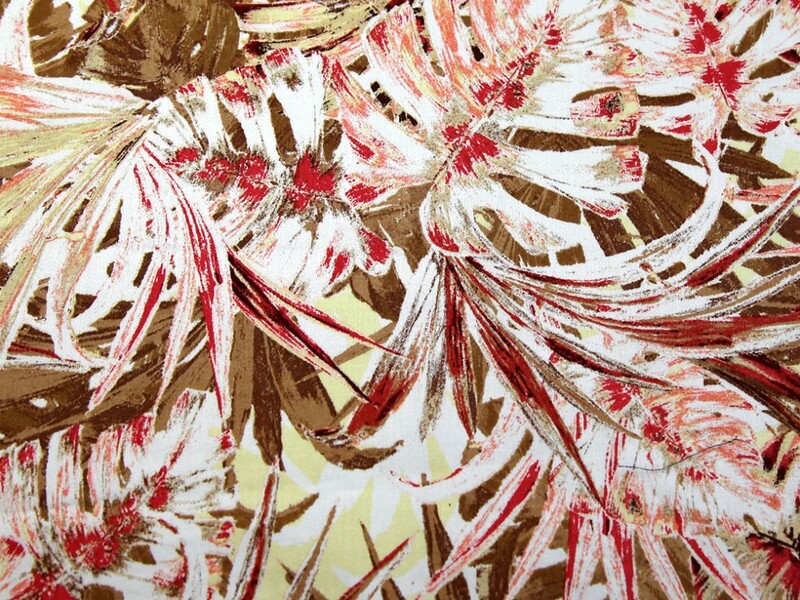 Its sateen finish gives this fabric a much more expensive look than its reasonable price tag! Those who try this fabric almost always use it again!